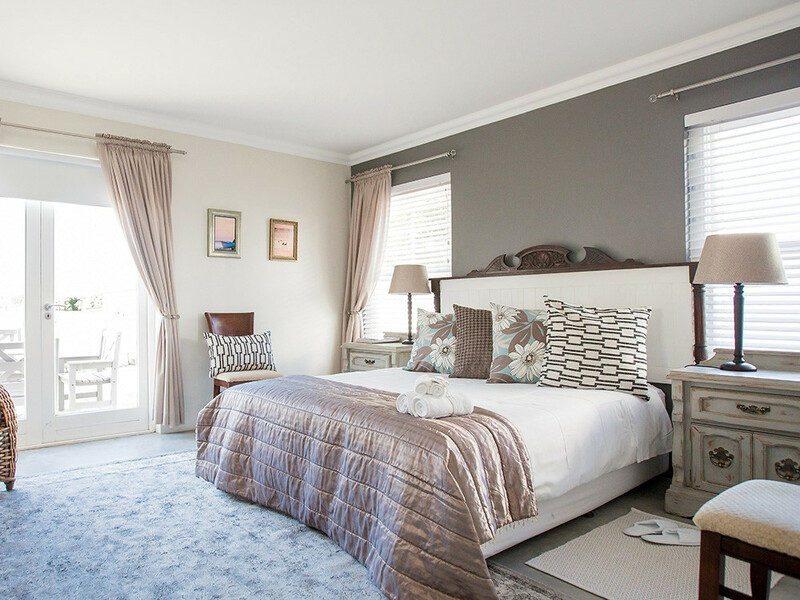 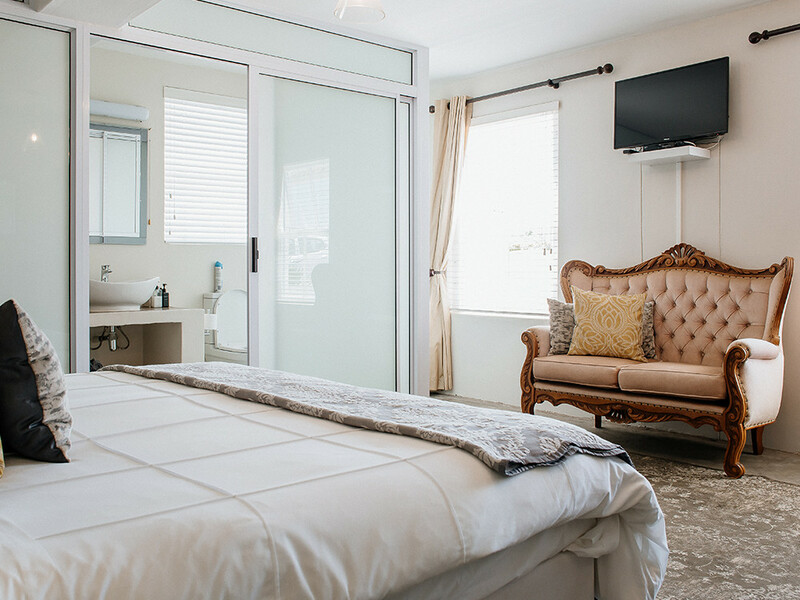 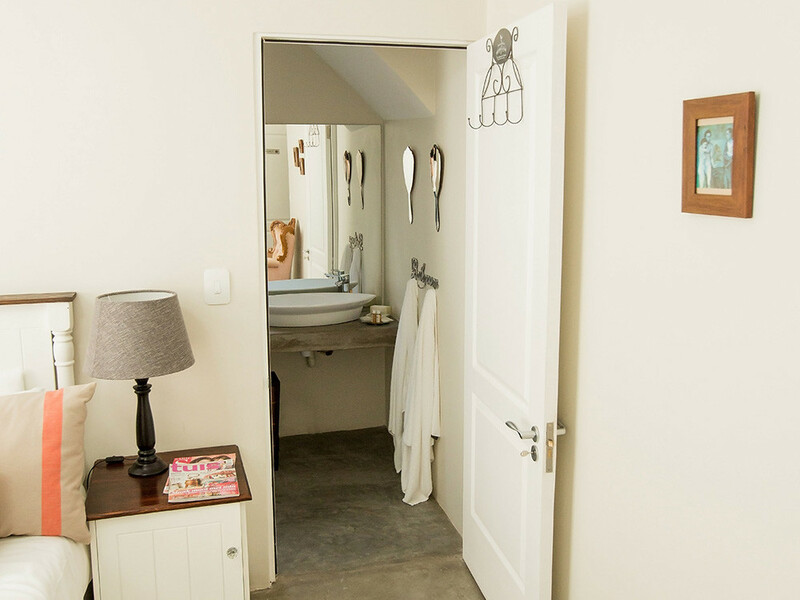 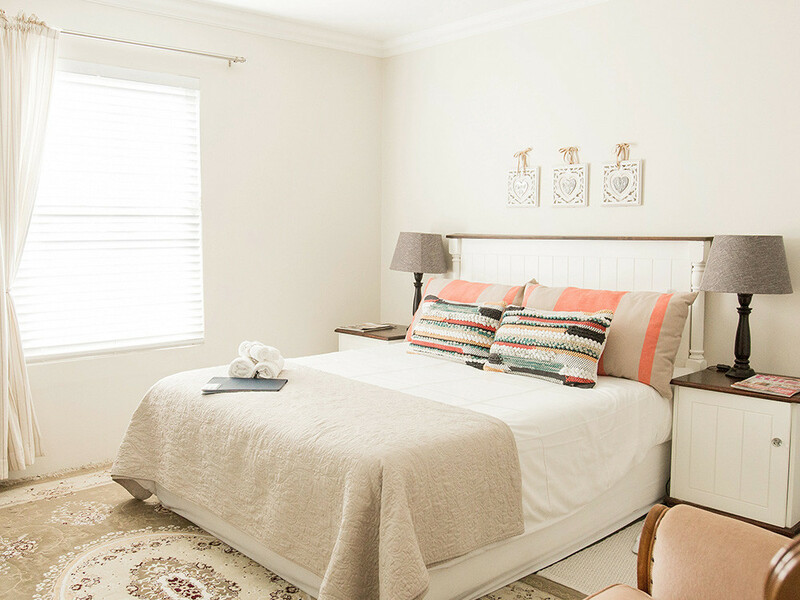 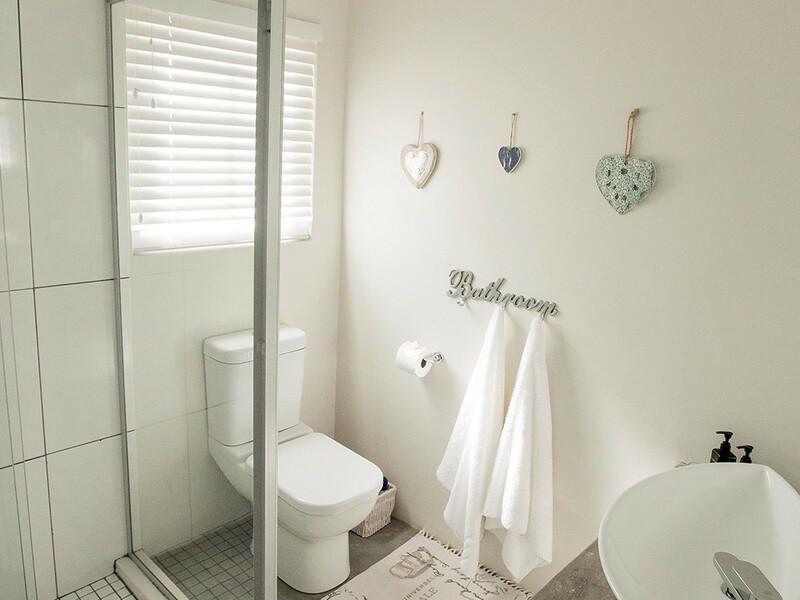 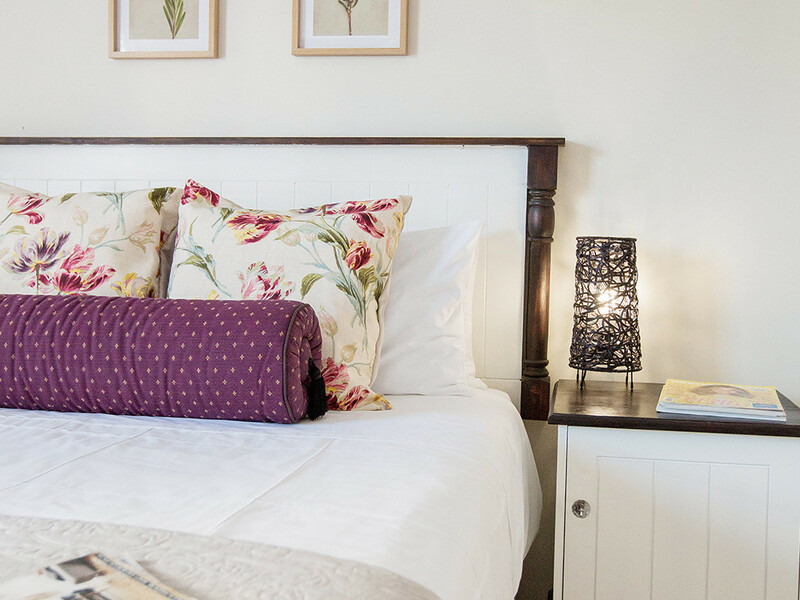 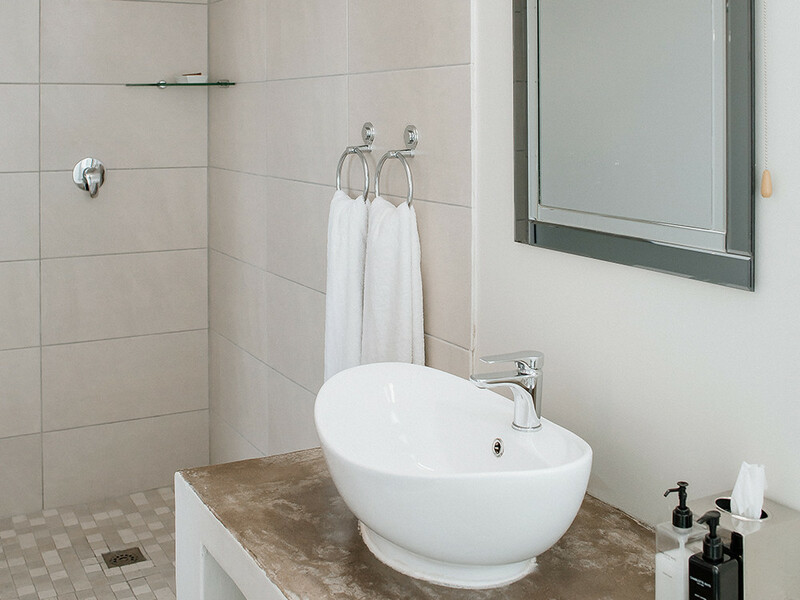 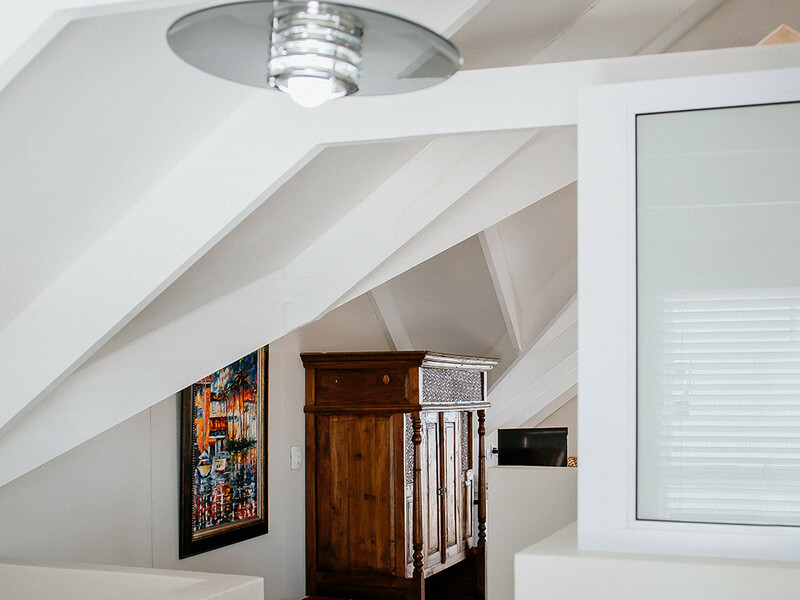 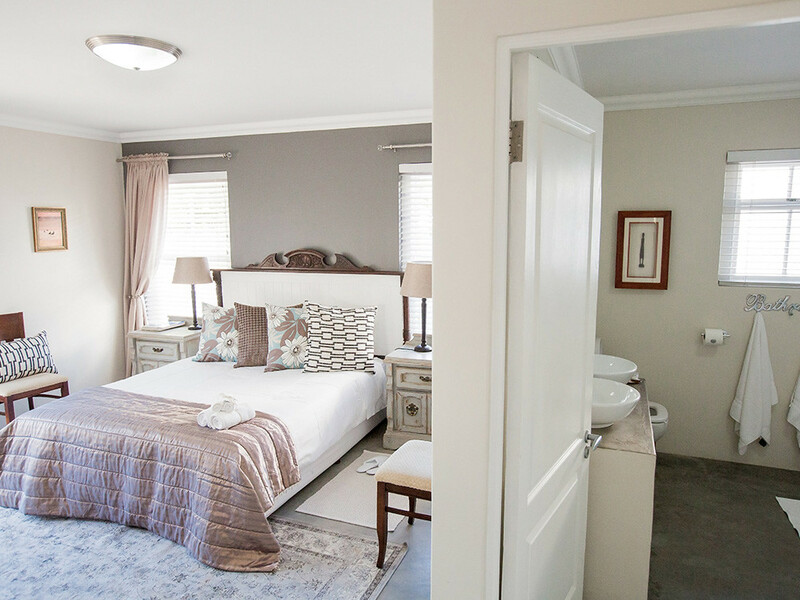 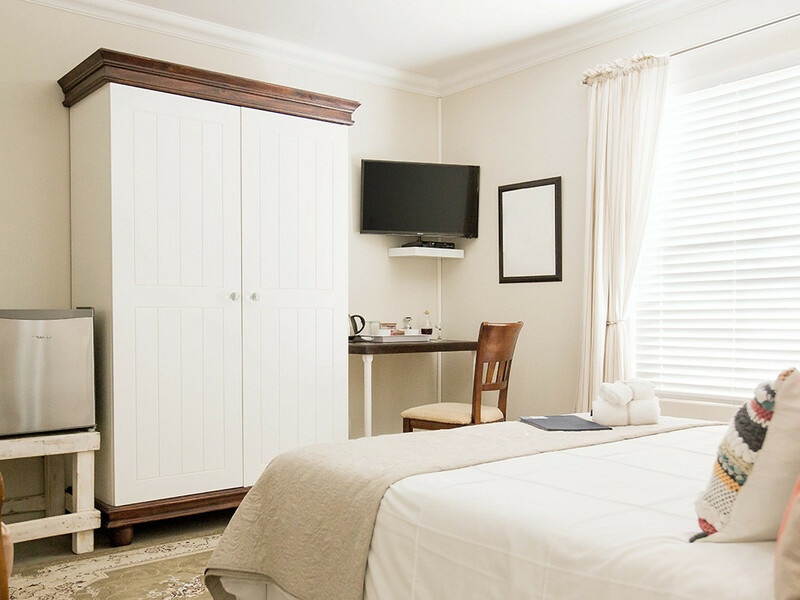 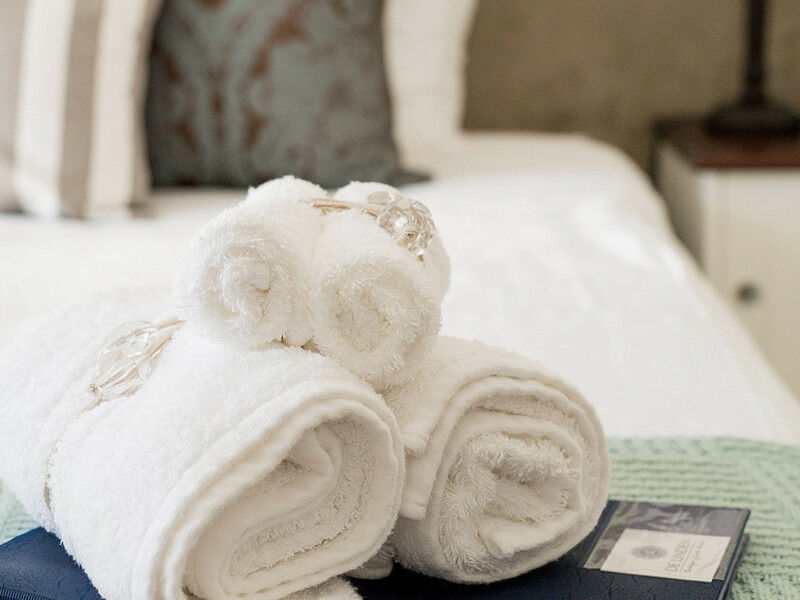 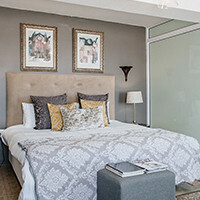 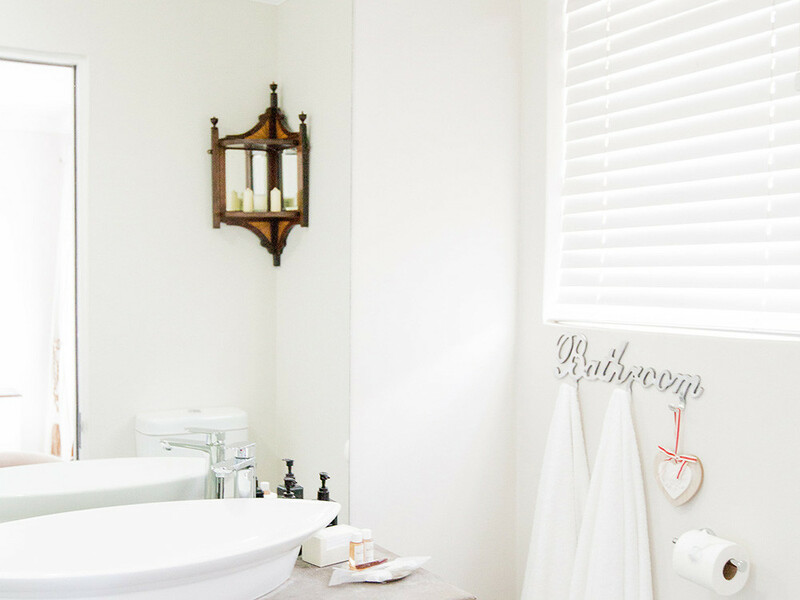 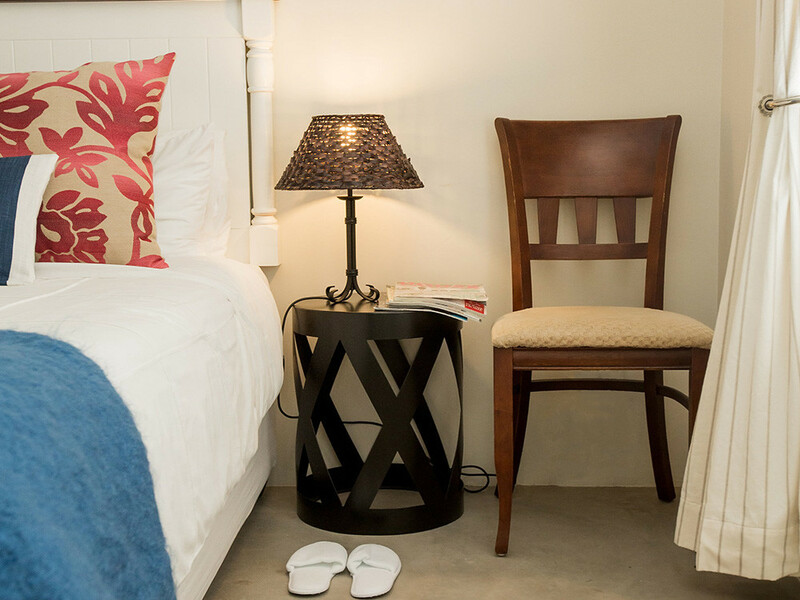 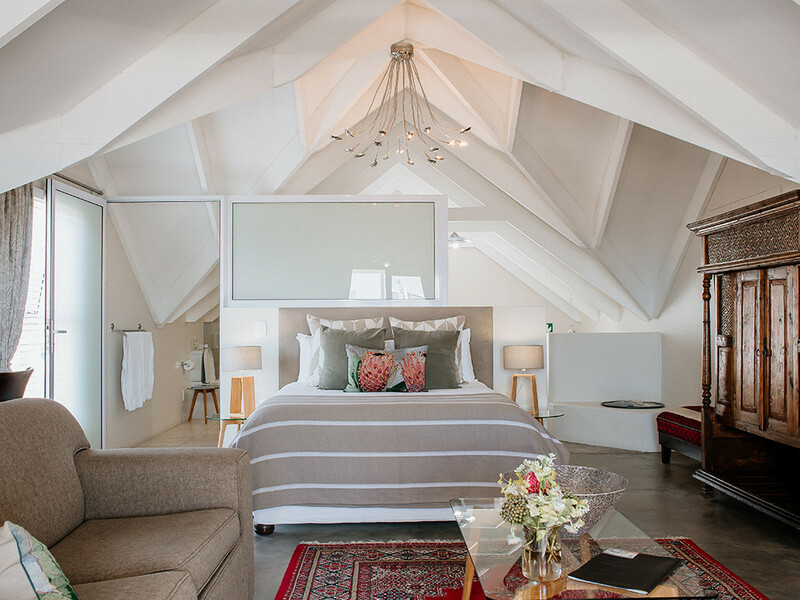 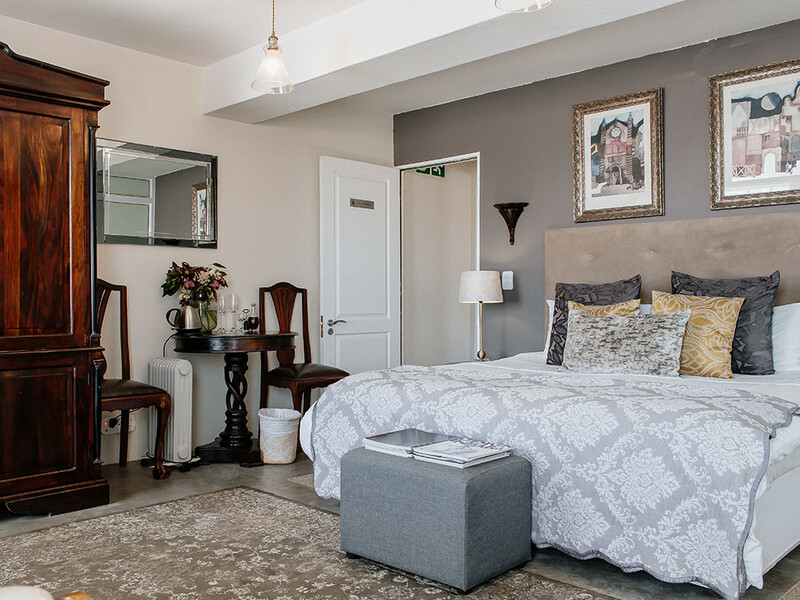 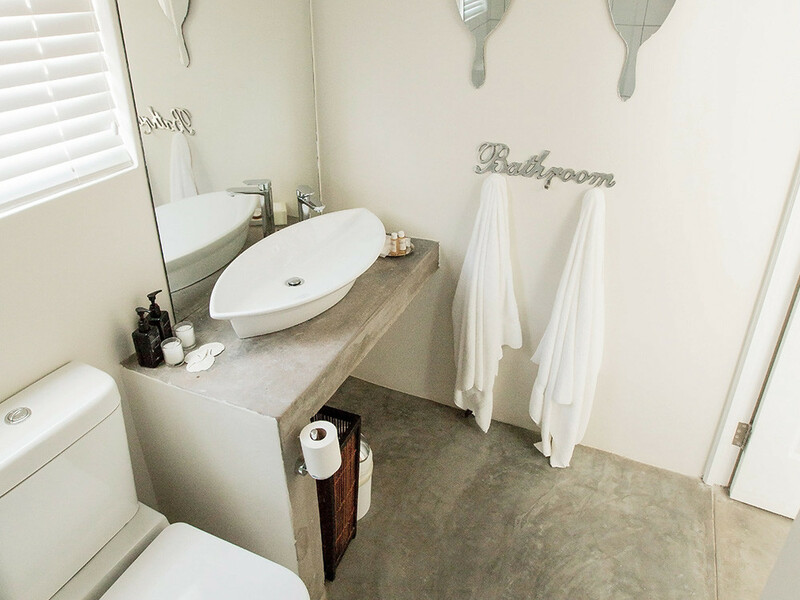 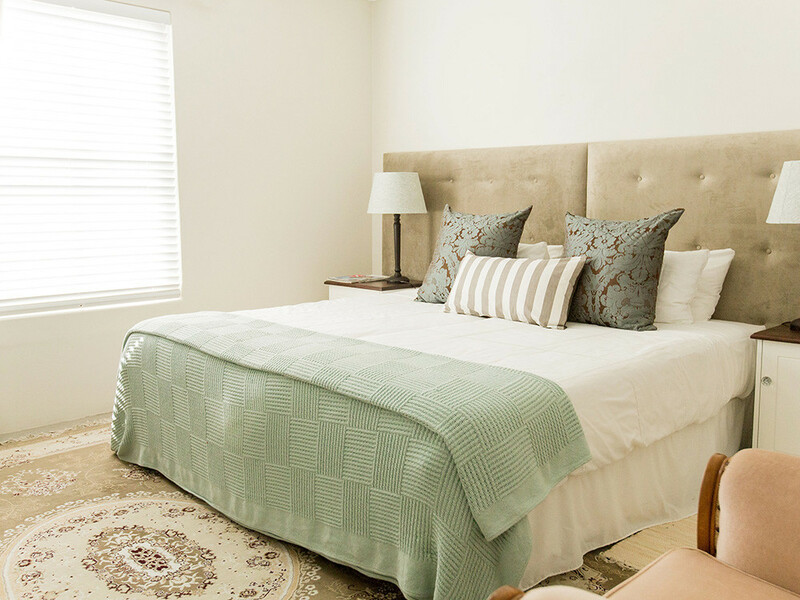 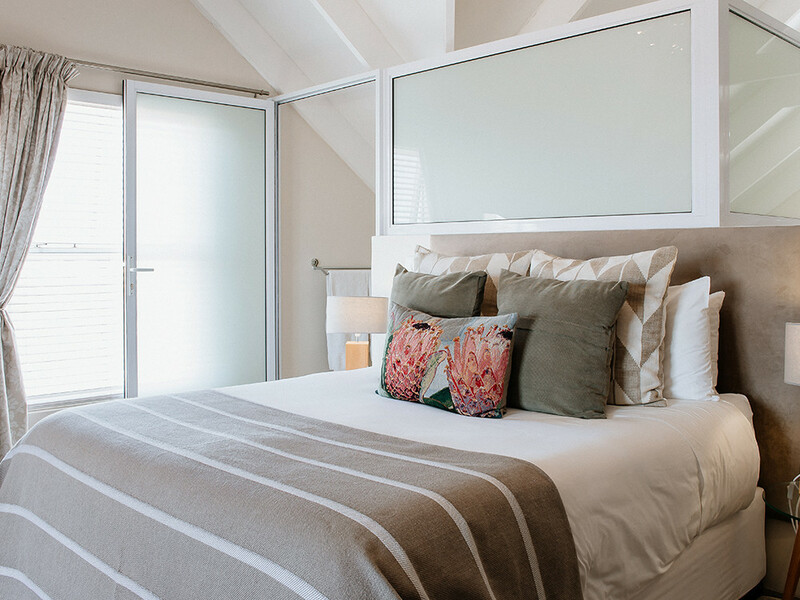 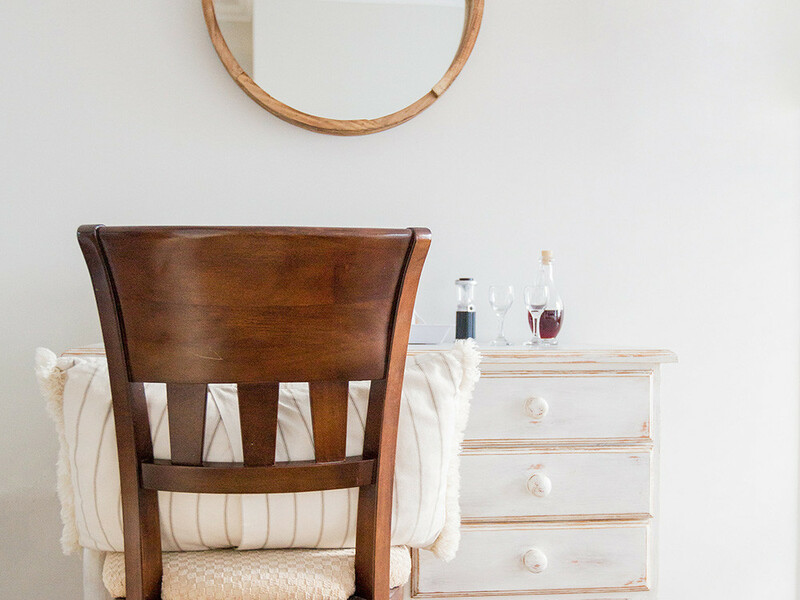 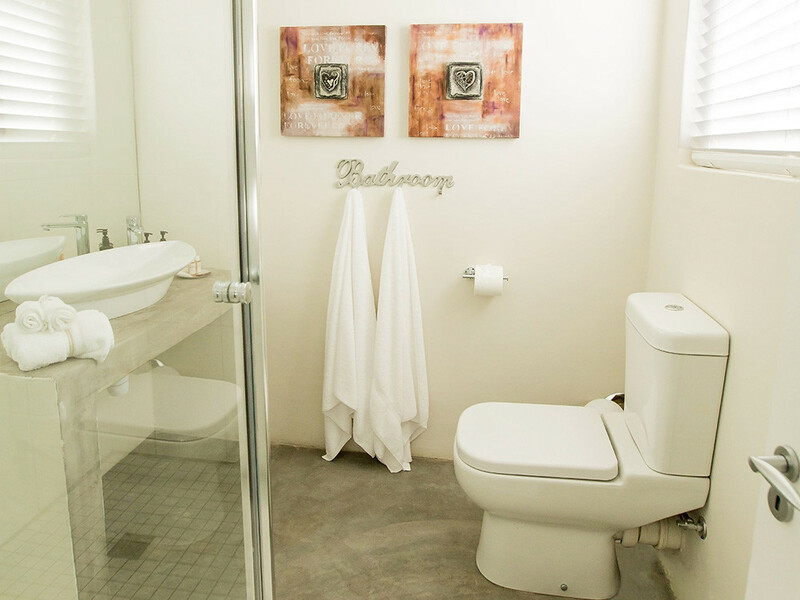 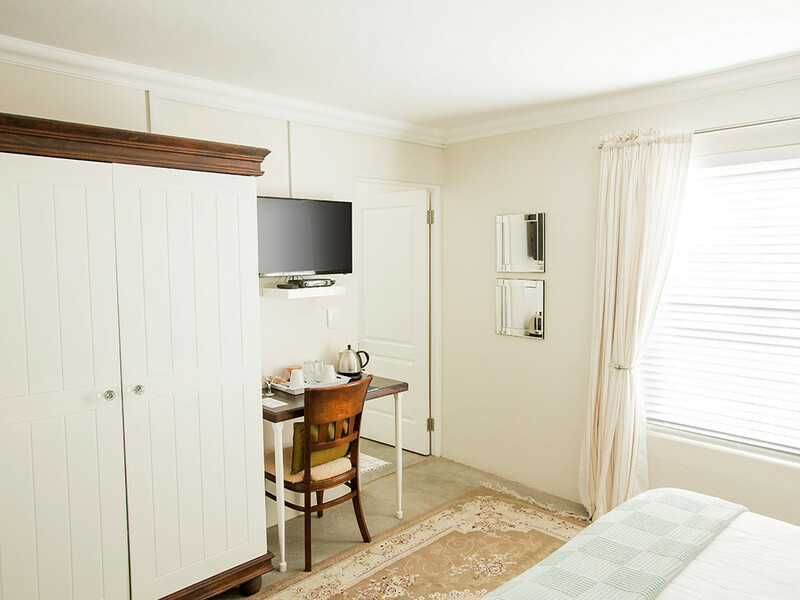 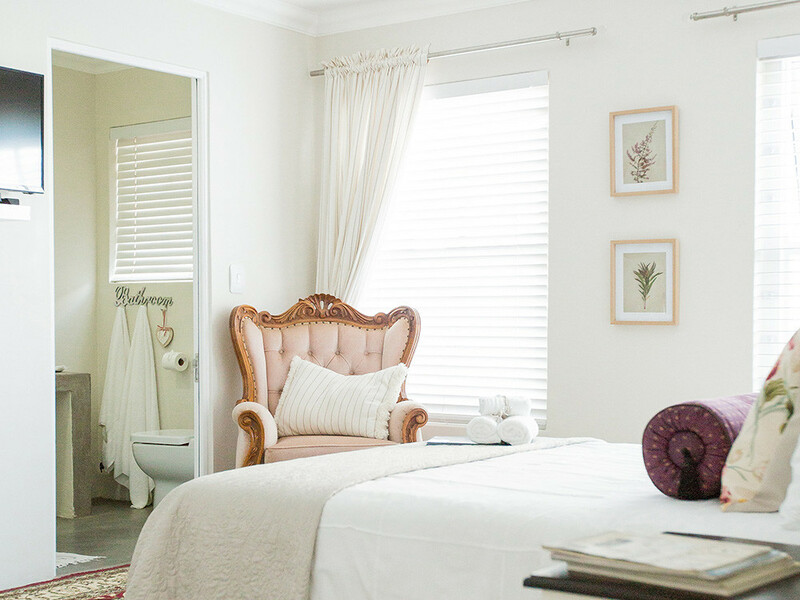 Each room is decorated with care and style, equipped with crisp white linen, LCD TV’s, satellite TV (DSTV), a fridge, coffee and tea facilities, hairdryer, small lock up safe, Wifi, as well as beach and bath towels. 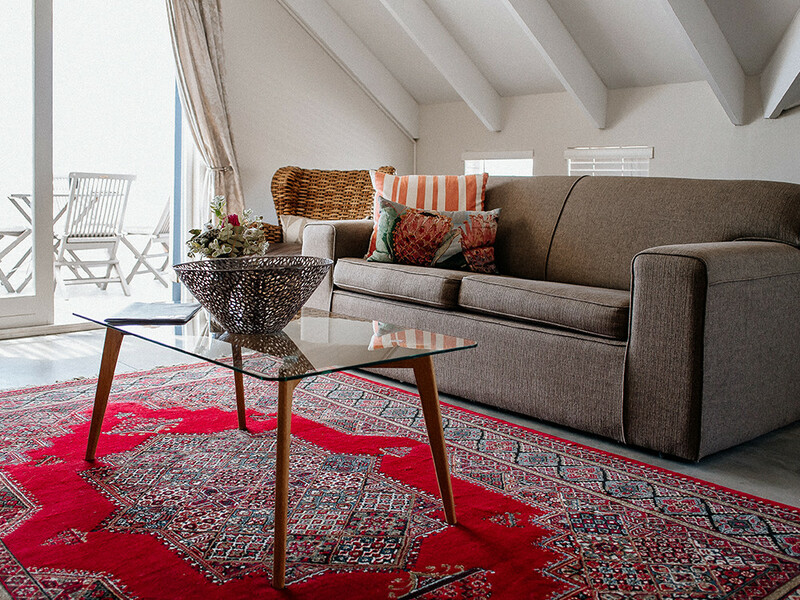 Spacious dining room and three lounges boasting two fireplaces gives you plenty room for relaxing. 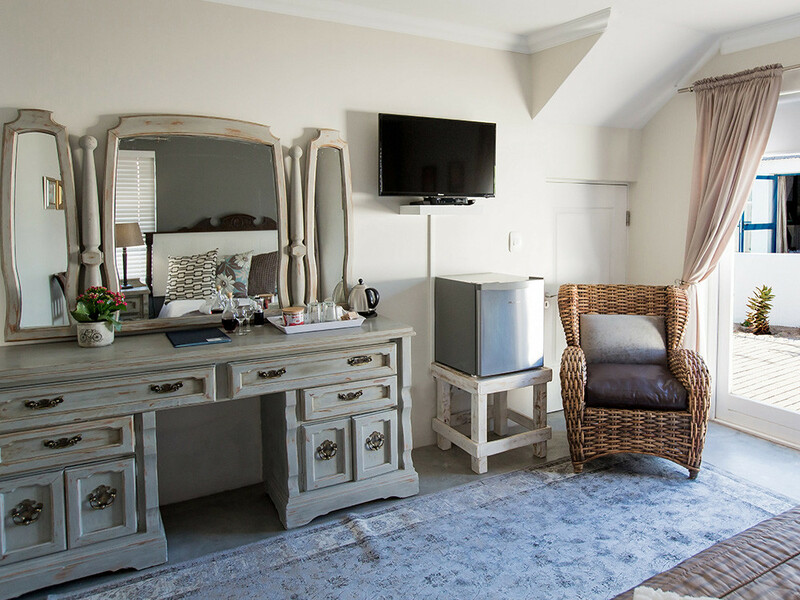 The guest house also offers two outside lounge areas with fireplaces as well as a balcony with a gorgeous view of the sea and sunsets. 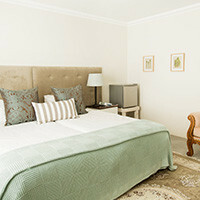 Contact us for all rates or advise on your stay. 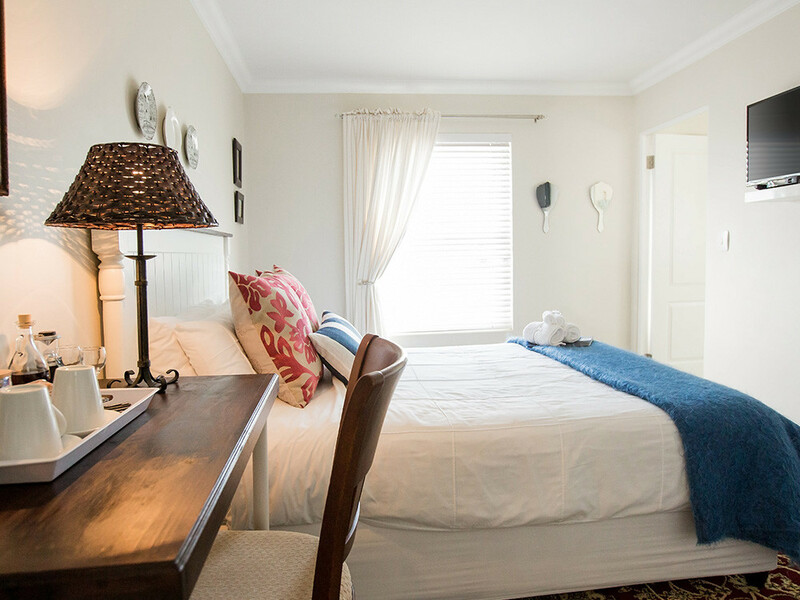 The whale room also has a private door that leads to an outside sitting area. 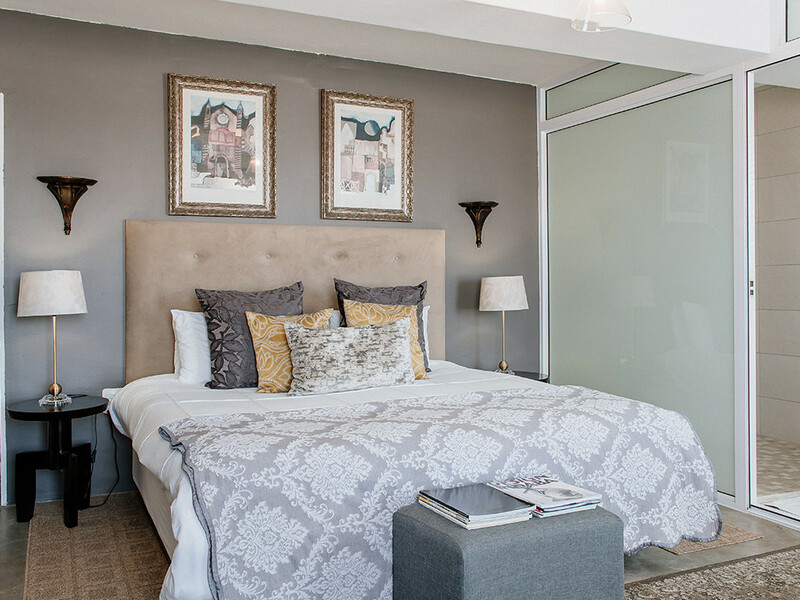 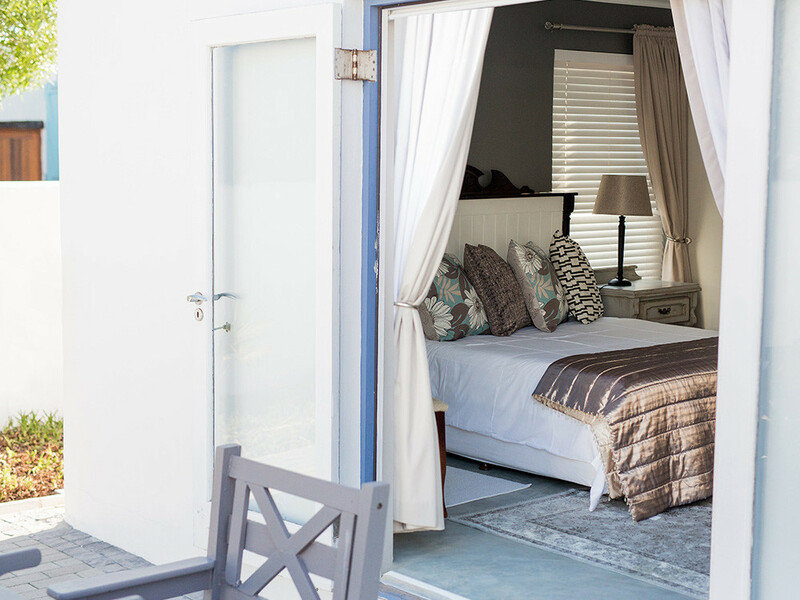 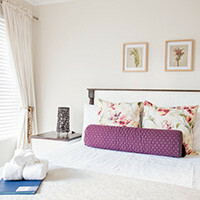 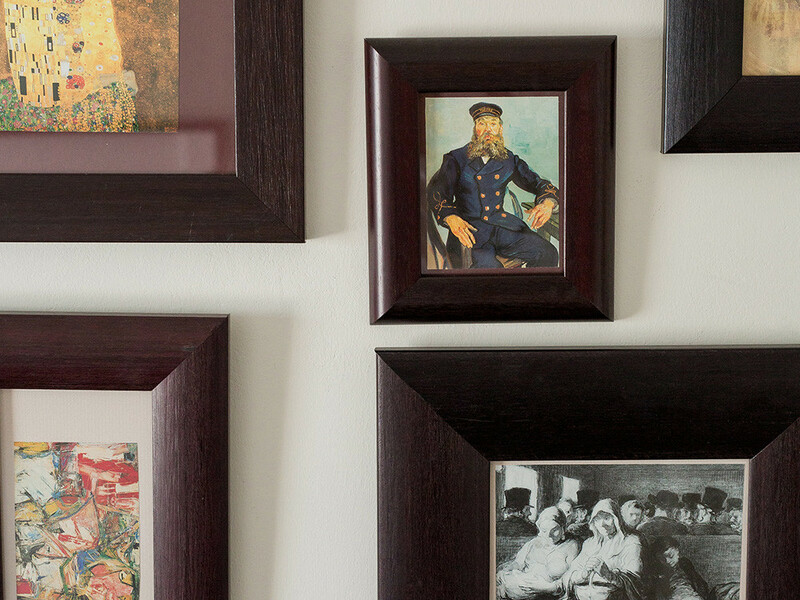 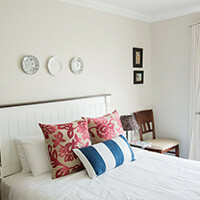 The protea suite has a private balcony with a fireplace and a sea view.